Release Date:09/07/2018;Notes:Vinyl LP pressing. In October of 2017, hard rock titans Alter Bridge took to the stage of the iconic Royal Albert Hall in London for two very special headline shows. Myles Kennedy, Mark Tremonti, Brian Marshall and Scott Phillips treated the capacity crowds to selections from their entire musical catalog. The set list included some of the band's biggest hits, rarities and even a few songs the group had never previously performed live. 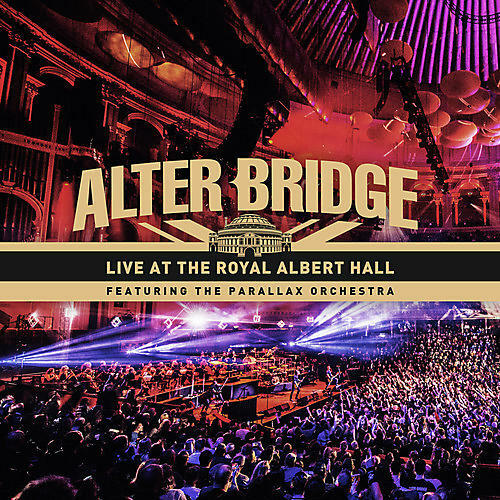 Adding another career first for the band, Alter Bridge was joined on stage by conductor Simon Dobson and the 52-piece Parallax Orchestra.